Last Saturday evening Voodoo Hemi Racing unveiled their totally rebuilt ’70 Plymouth Superbird. 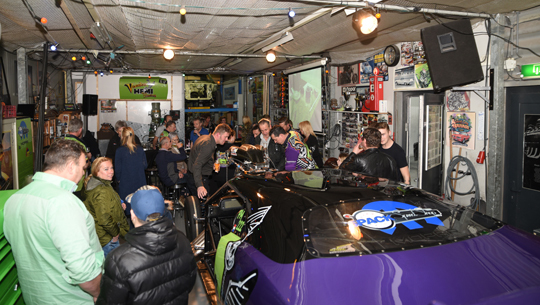 After a year of hard work, the team had the official presentation of their Pro Modified car that was so badly damaged in a crash at Santa Pod Raceway in May 2018. 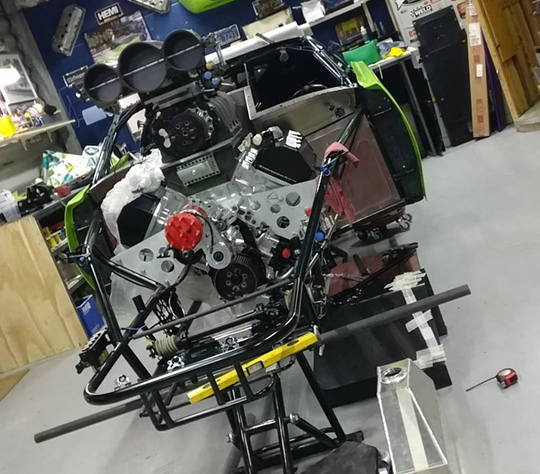 “I would like to say a big thank you to everybody who helped us with this rebuild, in whatever way their contribution was, but for all the Voodoo Hemi crew that spent so many hours in the workshop. 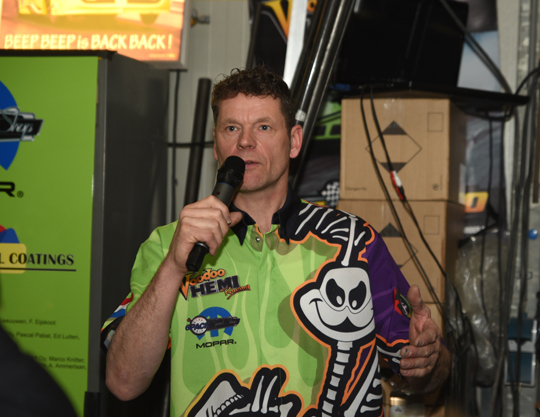 Let’s make it a great season,” said Marck Harteveld, driver of the Superbird and driving force behind the Dutch Pro Modified team. Voodoo Hemi Racing don’t want to look back, especially not at that day in May 2018 when the ’70 Plymouth Superbird was severely damaged in a devastating crash and fire at Santa Pod Raceway. 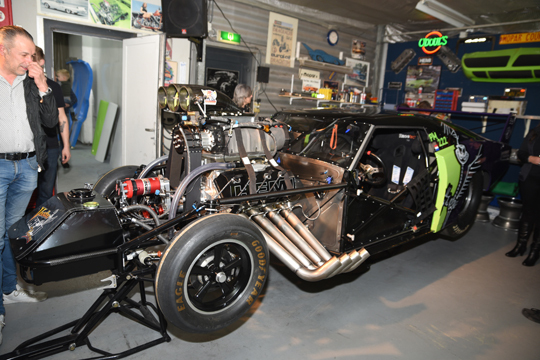 Although the rebuild is not finished yet, it’s hard to believe that the car that was unveiled during the official presentation at Harteveld Autoschade en Restauratie in Wateringen was the same Voodoo Hemi Racing ’70 Plymouth Superbird that crashed one year ago. Over the last couple of months the team have worked around the clock to rebuild the Superbird and make it even better than before. After stripping and cleaning the Superbird, the car went to Andy Robinson Race Cars in England where it was equipped with a new front end. Of course this specialist checked all other parts of the chassis as well. 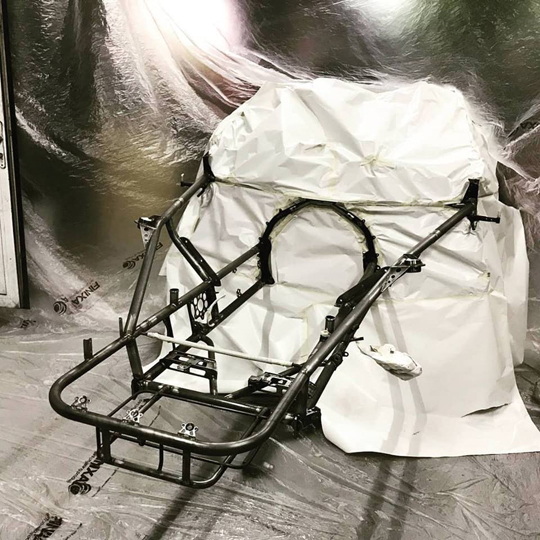 At Harteveld Autoschade en Restauratie the chassis was repainted and SFI scrutineers gave it the required SFI certification. In the last couple of months the crew rewired the car and made a new oil tank, chair, windows and many other parts that were destroyed in the fire after the crash. All parts of the engine and gearbox were also checked by the team. Goodridge Benelux in Pijnacker helped with measuring and delivering new Goodridge high performance hoses and fittings. The crew made a mold of all body parts and a carbon expert made a new carbon nose and carbon doors for the Superbird. “The nose is ten kilos lighter than the old one and the doors two kilos each. We painted these parts in the familiar Voodoo Hemi green, but we will do the finishing touches after the 2019 season. We are still waiting for some parts to arrive from the States, but that won’t be a problem,” said Marck Harteveld. Troy Critchley in the States took care of and updated the blower of the engine. The Superbird is equipped with brand new shock absorbers from Adam Lambert. This American shock absorber and chassis specialist will be with the team at the first two races of the season to help them with the chassis set-up. The list of things the team have done is far too long to mention, and when the car hits the track in a couple of weeks, it’s an almost brand new Voodoo Hemi Racing ‘70 Plymouth Superbird. During the presentation Marck Harteveld took the opportunity to say a big thank you to many people; like the many fans who sent heart-warming messages immediately after the crash, the people who started the crowdfunding actions to get the Superbird back on track and all the loyal partners and sponsors that expressed their support. 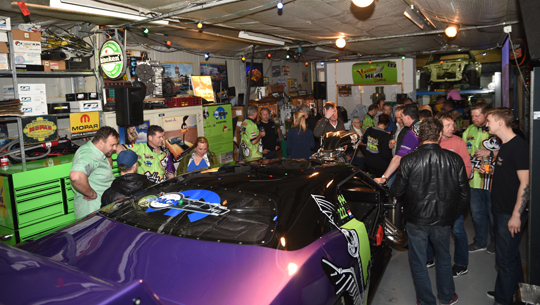 But of course there was a special thank you to the Voodoo Hemi Racing crew as they spent so many hours in the workshop to rebuild the Superbird. The new Voodoo Hemi Racing ’70 Plymouth Superbird will make its track debut during the Easter weekend at the Festival of Power at Santa Pod Raceway. The next race will be the first round of the FIA European Championship, The Main Event. 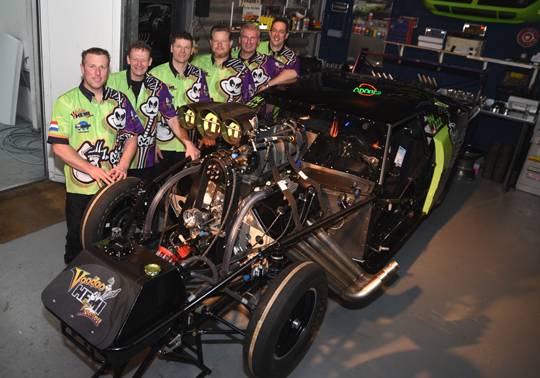 This year Voodoo Hemi Racing will focus on the Motorsport UK British Drag Racing Championship, but of course three races of the FIA European Championship, including the Hockenheim NitrOlympX, are also part of their calendar. 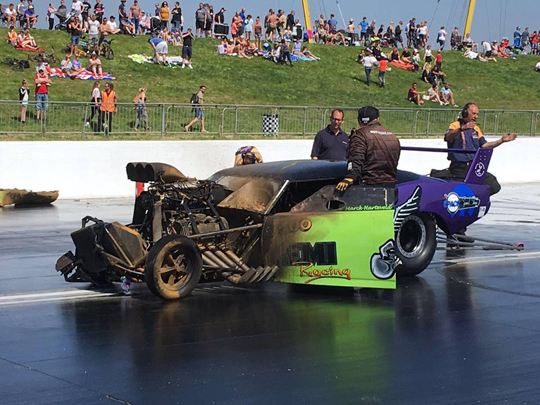 This season Voodoo Hemi Racing is supported by 6Pack Speed Shop, CL Coatings, Breed Advies, Baro Services B.V., PPG, Aviboor, Qrien van Vliet, Autobedrijf Grootscholten, Elno Installatietechniek, USA Cars Grave, Peet Hulisz, P.P. Solutions, Peet Komen Autoherstelwerken, Sunproof, Tom Otten Elektrotechniek, District 010, Mooi Reclame Werk, Fred Barendse, Breedveld Transport Rotterdam, Rob vd Kruk Onderhoudsbedrijf and Gert en Leny Harteveld.